Need a Marketo pro? With multiple Marketo Certified Experts and Marketo Champions on the team, we’ve got you covered. 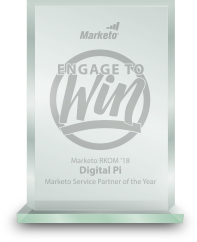 Created by marketers for marketers, Marketo is recognized as the leader in the marketing technology industry. By constantly innovating solutions that keep you on the cutting edge of the ever-changing world of digital marketing, Marketo provides powerful tools that allow you to engage customers at scale across multiple channels. 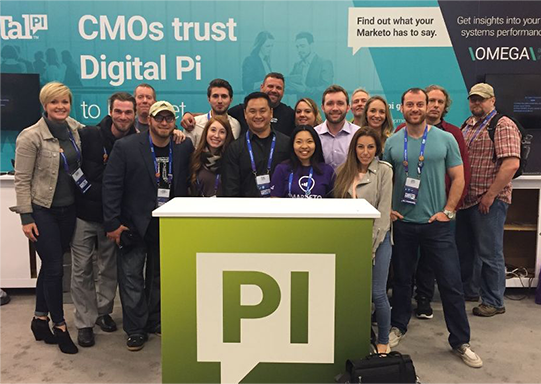 Whether you’re working on your first Marketo instance, or you’re a seasoned veteran wanting to unlock some of the more powerful tools within the platform, Digital Pi offers expert Marketo consulting services to help you realize the full potential of your martech investment. A framework that leverages the native capabilities of Marketo, The Gold Standard creates a predictable approach to the process, design and optimization of scalable, repeatable and measurable marketing strategies for B2B companies. Successful implementation of marketing technology is built on a foundation of configuration and training. As your marketing strategies evolve, we work to continually develop custom programs, tweak strategies and analyze results to ensure you get the most out of your investment. Managed services that meet your business's exact needs. Whether you are looking for a strategic partner acting as a true extension of your marketing team, or need support with day-to-day operations, our managed services can be customized to your requirements. Using our signature product, FLEX, we create stunning email and landing page templates tailored for your marketing initiatives. The beauty of FLEX is in its simplicity. Changes no longer require developer input, putting you in control of future template design.